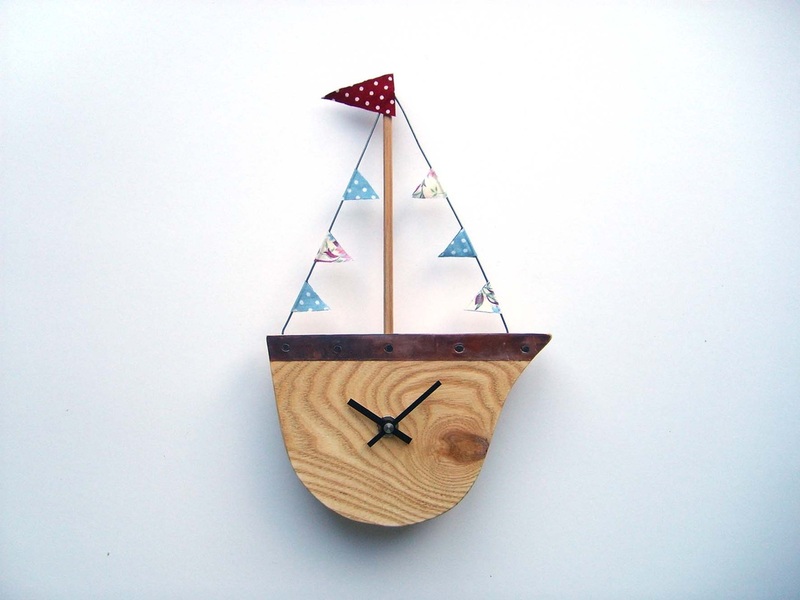 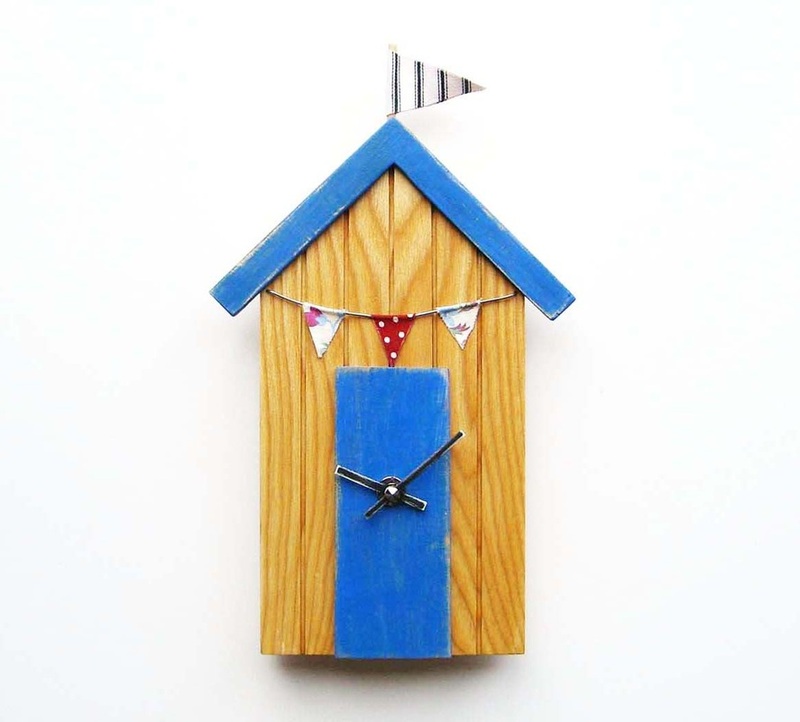 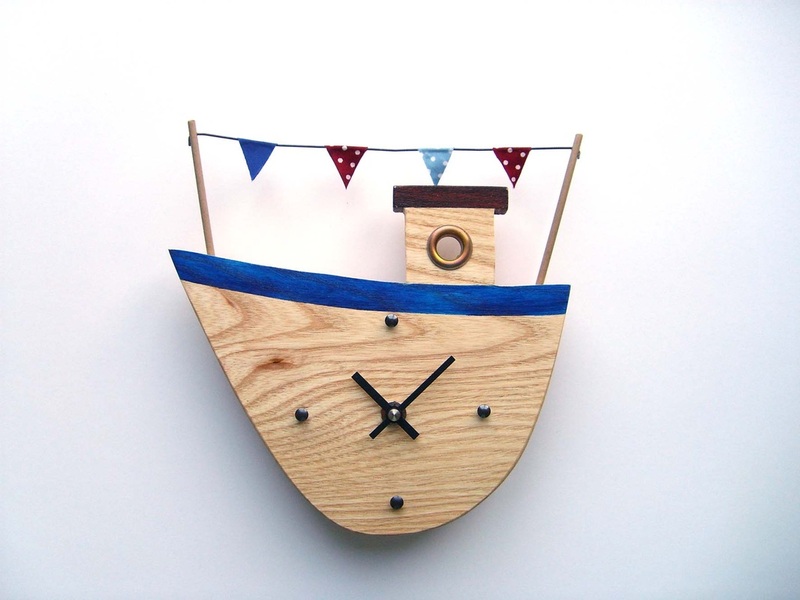 A whimsical range of clocks and wall hangings inspired by living and working on the North East coast. 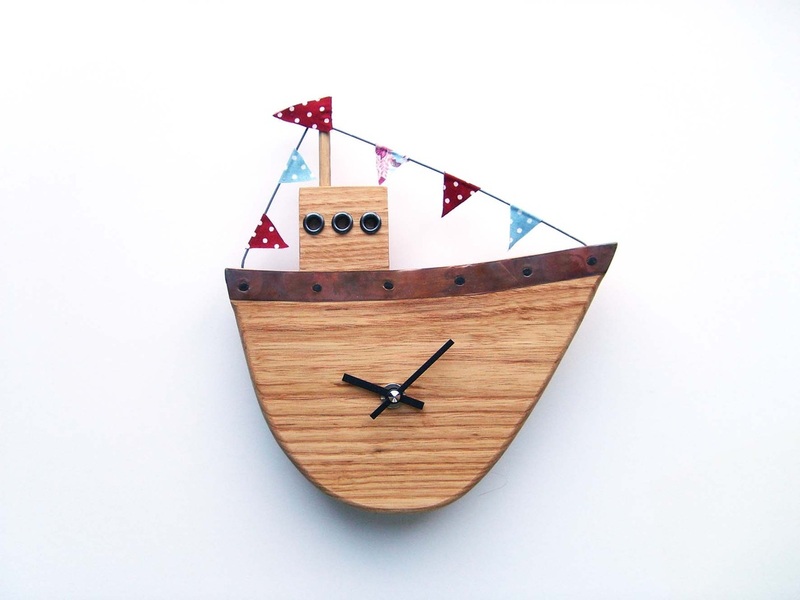 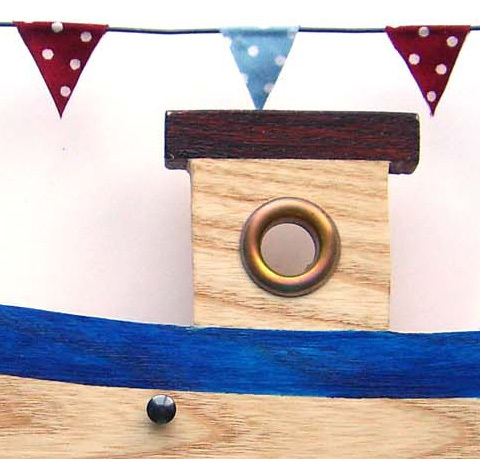 The boats and beach huts are all made using Hardwoods - mainly Ash and Oak, carefully chosen for the grain patterns. 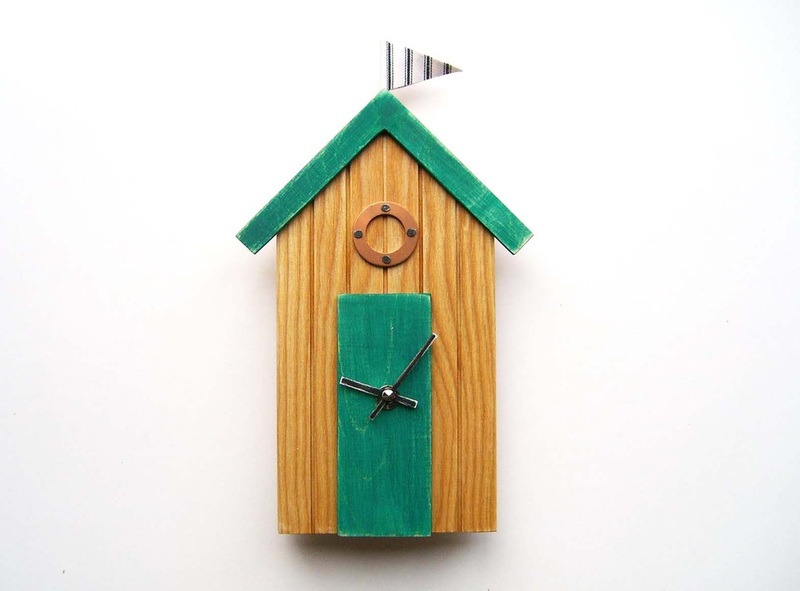 Attention to detail is very important, all the metal fixings have either a bronzed finish, or have been treated to create an aged effect. 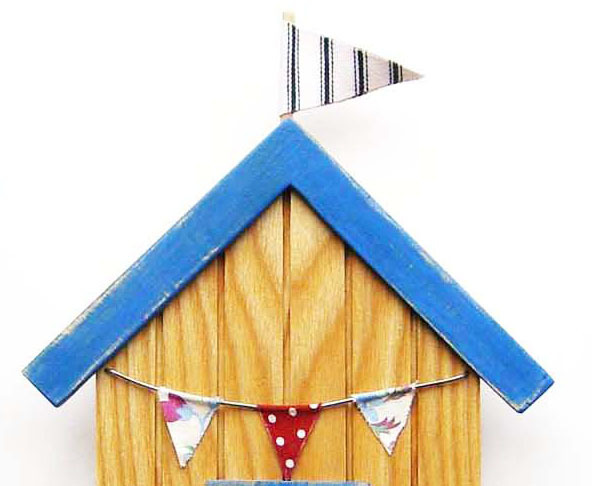 Both the patterns and colours of the fabric used for the flags and bunting compliment the wood, bringing together a range of designs to make you smile. 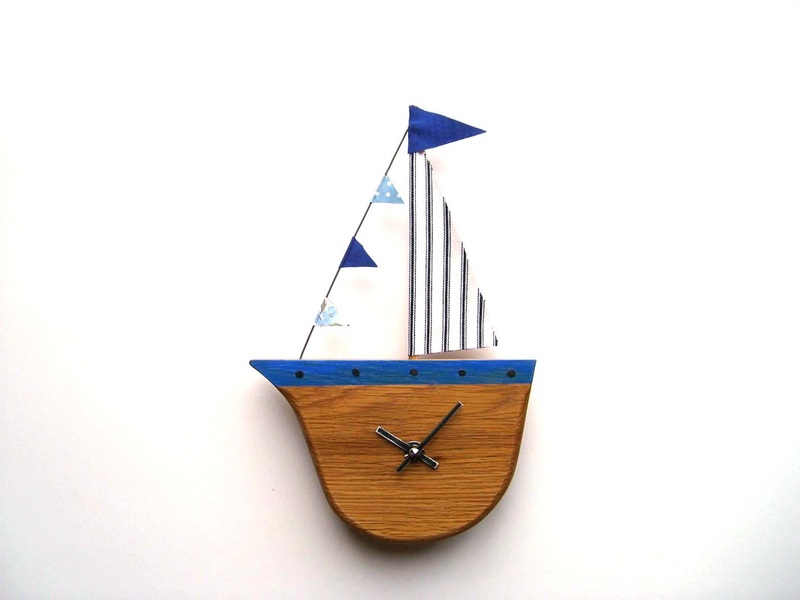 All designs are available as wall-hangings or clocks. 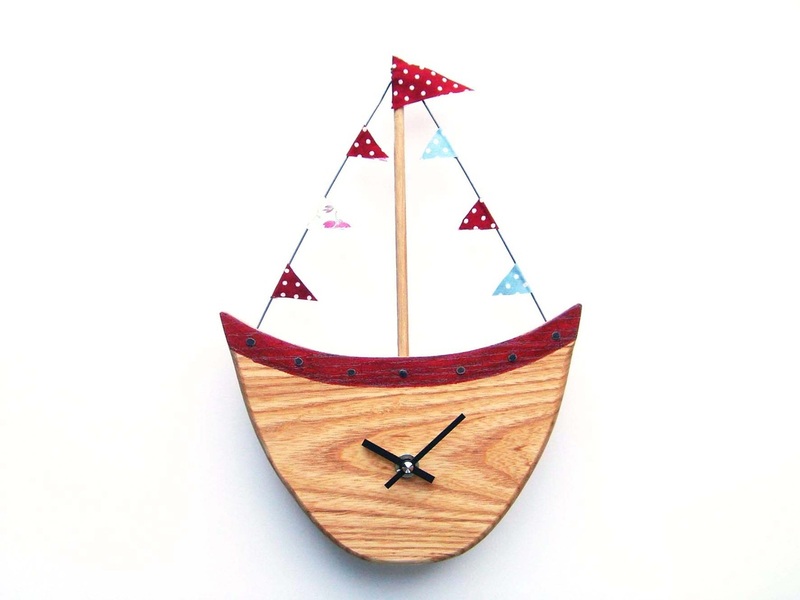 The clock is available with, or without, bronzed metal domed markers at the 3,6,9 & 12 positions. 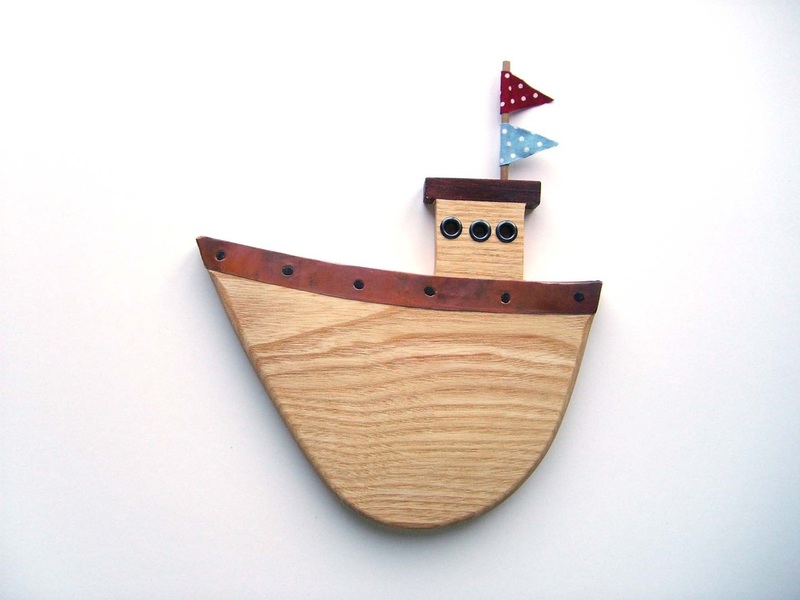 Boat size 21 x 21 x 2.5cm. 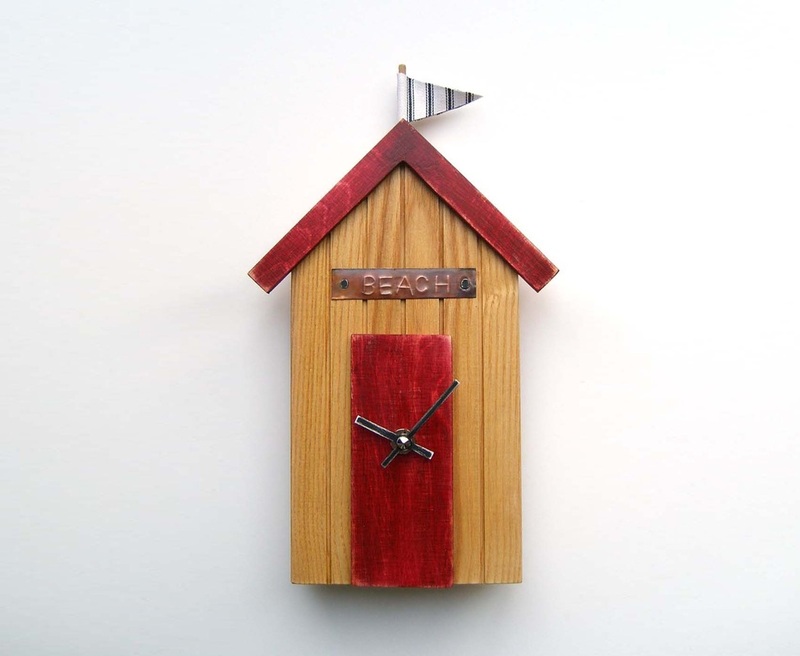 Do not hang in areas with condensation or above a direct heat source.